It’s Thursday, and I’m sure we can all use a cocktail by now. I know I can. I came up with this the other night in an attempt to put the beautiful kumquats I had to good use. They’ve arrived at the shuk, big beautiful baskets of perfect little ovals to be purchased by the kilo. I remember the first time I tasted a kumquat. I was a child attending the American Academy of Arts and Letters annual inauguration and opening way uptown with my parents; we went every year. They always had a variety of cheese and crackers, all you could drink soda and, best of all, kumquats. I learned to love their citrusy sour taste that makes your mouth pucker like a Lemonhead candy. I discovered that they should be eaten whole, the skin enjoyed more than anything else, popped in your mouth and savored. But even in New York kumquats remained an oddity, a specialty. I can recall few other times besides those openings when I enjoyed their tart taste. Which is why I was so excited to see them in bounty, and not expensive, at the shuk. I knew I had to buy them, even though I wasn’t yet sure how I’d consume an entire pound by myself (Evan, sadly, is not crazy about them). I used kumquats earlier in the week for my Chicken Marbella with Kumquats. I ate them by the handful. I sliced them and put them in my morning yogurt. Then I looked over at my bottle of gin and knew a cocktail would be just the place for a few of my prized kumquats. 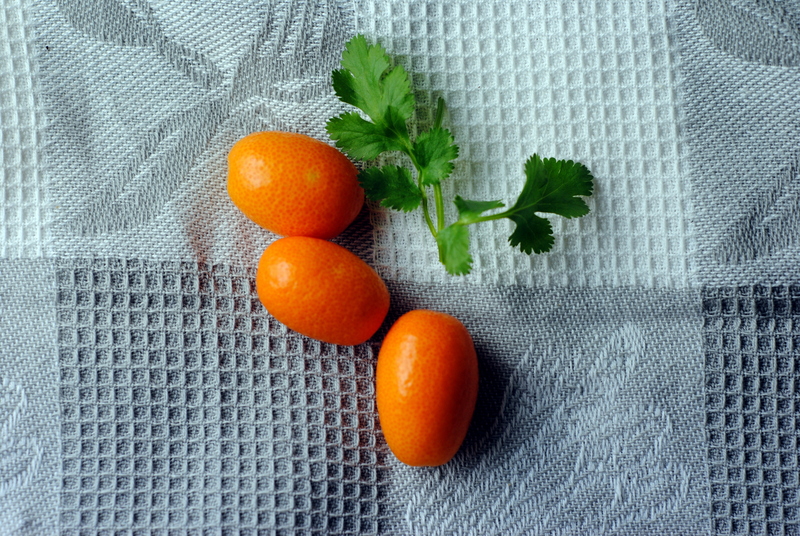 It began with the idea of pairing kumquats with cilantro, which I also had in my fridge. After debating what the final ingredient would be (Campari, Maraschino, and seltzer all crossed my mind) I decided on dry vermouth. 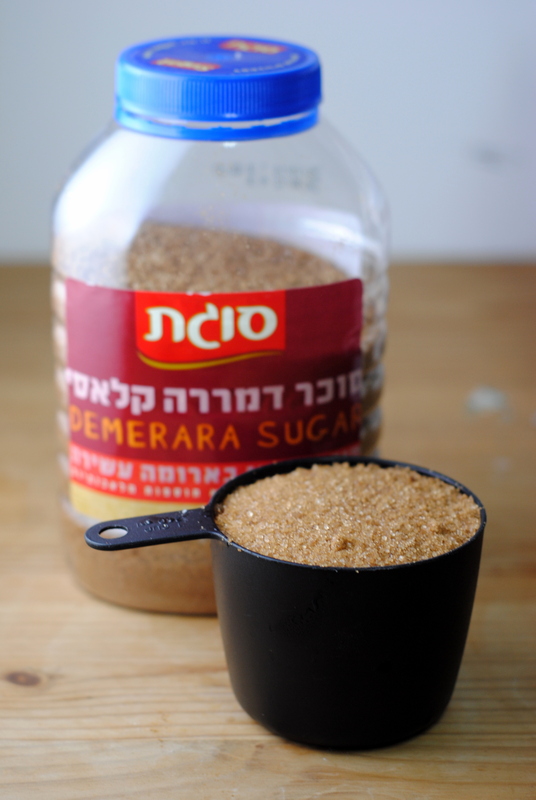 I made simple syrup using demerara/turbinado sugar for a slightly earthier taste. The drink came out smooth and pleasant, easy to drink but not too easy. A drink to sip. 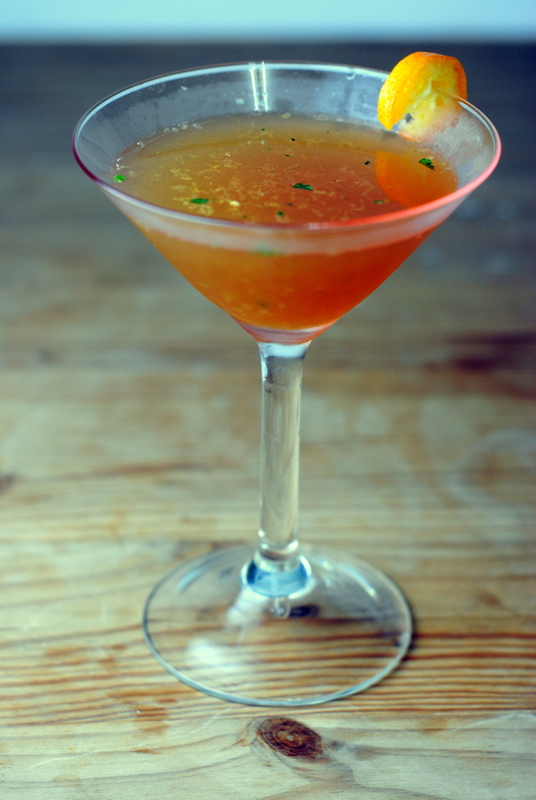 The botanicals of the gin and vermouth came through most of all, accented by kumquat and cilantro. And I am calling it a Kumquat Martini Smash because, well, it’s the base of a martini with the method of a smash. Cheers! 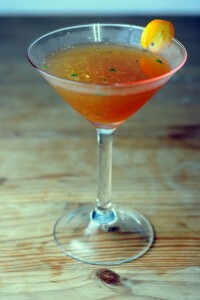 Put the kumquats, cilantro, and simple syrup in a shaker and muddle thoroughly. Add the gin, vermouth, bitters, and ice and shake until cold. 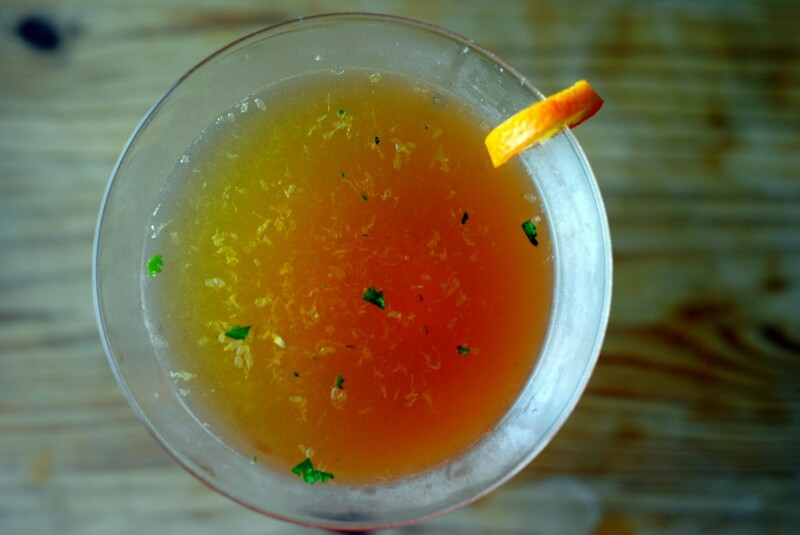 Strain into a cocktail glass and garnish with a kumquat slice. Bring the water to a simmer and add the sugar. 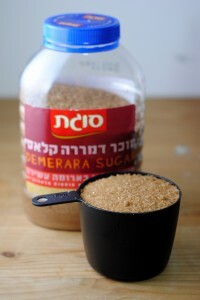 Simmer, stirring often, until the sugar has fully dissolved and the mixture has thickened slightly like a syrup. Allow to cool. Store in a glass jar in the fridge. This looks like an amazing cocktail! those are ALL MY FAVOURITES. I can’t believe this combination has never occurred to me before. Haha Kristine, I’m glad you like! It’s a great base to play around with – I feel that this cocktail can be improved but all the pieces are there so if you come up with something even better let me know! OMG! This could only be nectar of the gods. Kumquats and Gin! I couldn’t agree more! There’s a lot of room to play here. What about making kumquat-infused gin and using that? 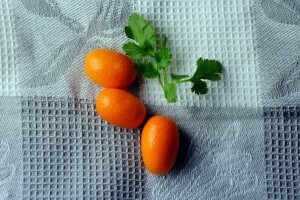 Or cilantro-kumquat-infused gin? Mmmm… Thanks for stopping by!